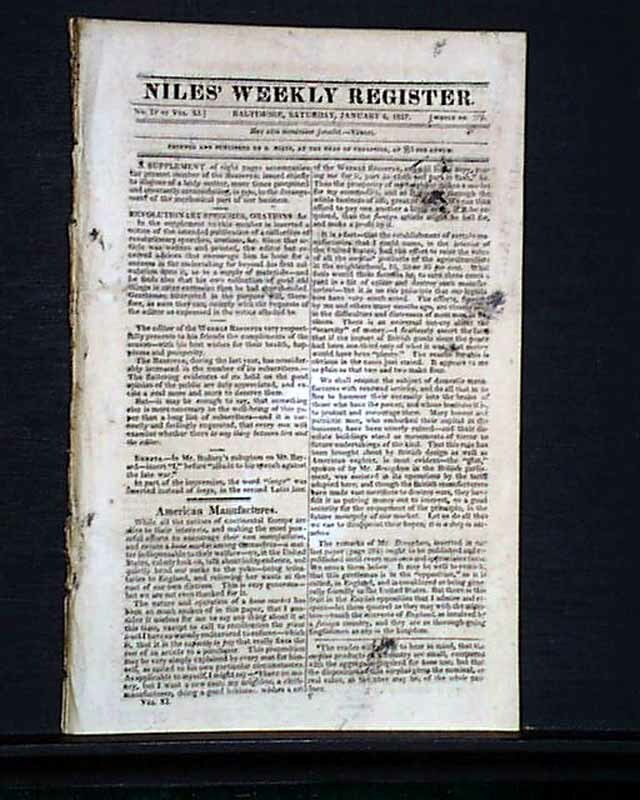 NILES' WEEKLY REGISTER, Baltimore, Jan. 4, 1817 Perhaps the most notable content in this issue is found in the 8 page "Supplement" which has a full page taken up with: "The Sage of Monticello". 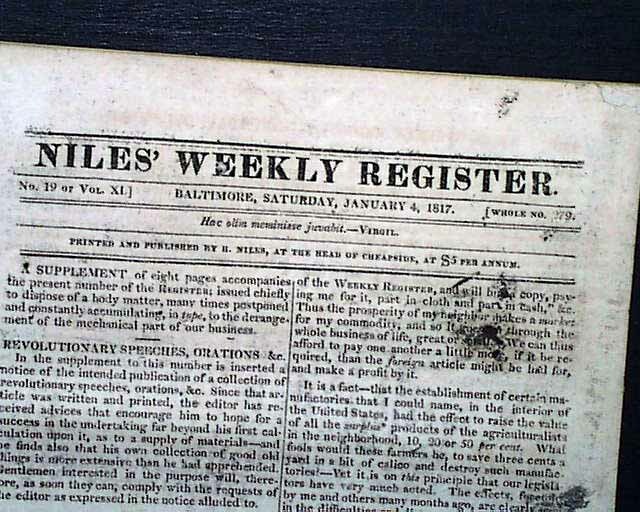 The lengthy article is the result of a visit by a writer to the home of Thomas Jefferson with comments on Jefferson's daily routine, his manner, and considerable discussion about his home and surroundings. 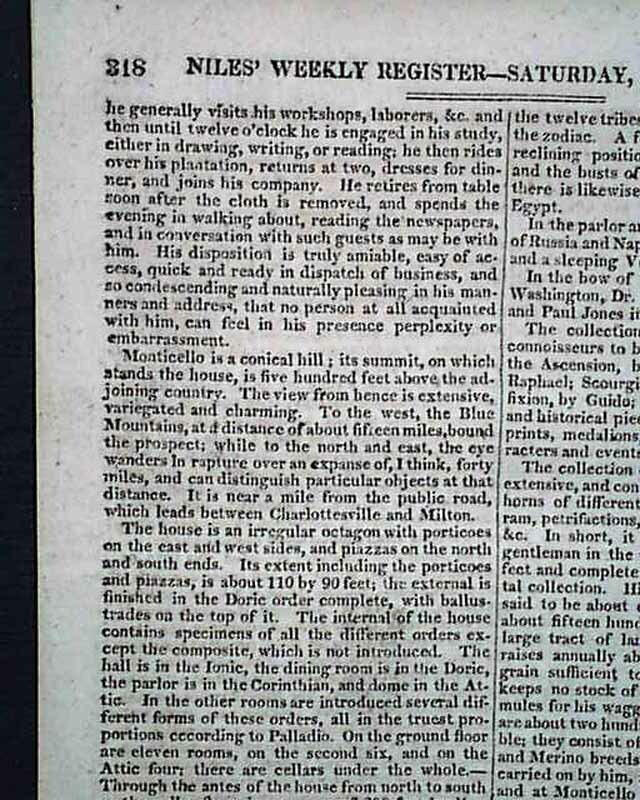 Near the beginning is: "Mr. Jefferson is very regular & temperate in his mode of living; he retires to his chamber about nine o'clock & rises before the sun...Until breakfast, which is early, he is employed in writing; after that he generally visits his workshops, laborers, etc. 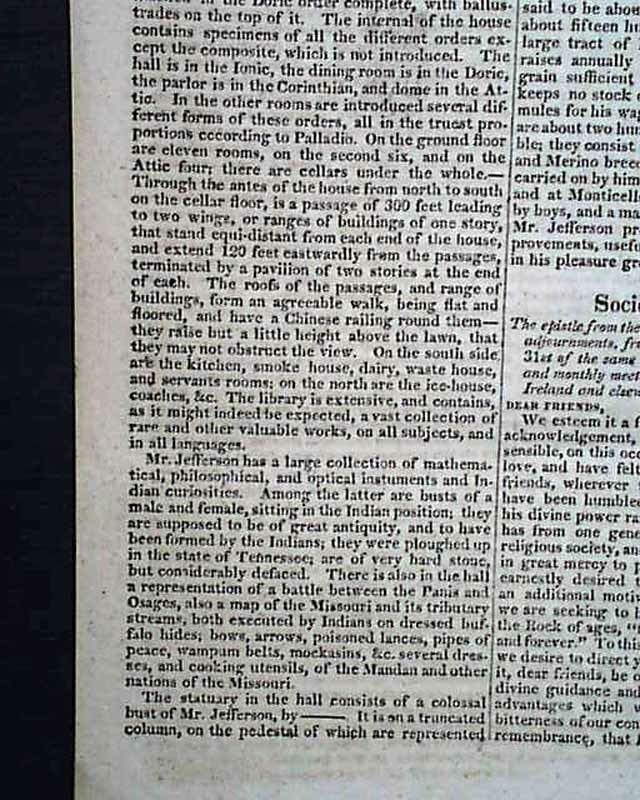 and then until twelve o'clock he is engaged in his study either in drawing, writing, or reading; he then rides over his plantation..." with much more. 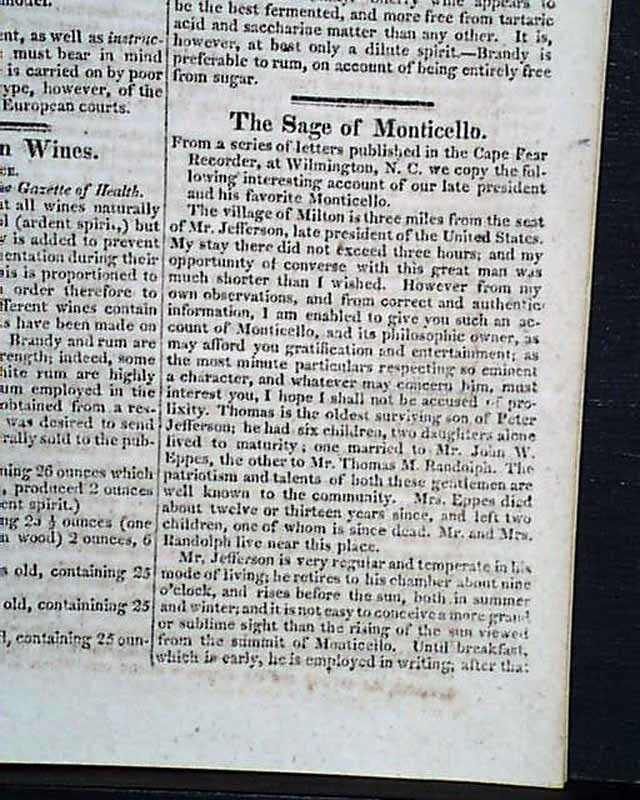 Very descriptive text concerning Monticello. 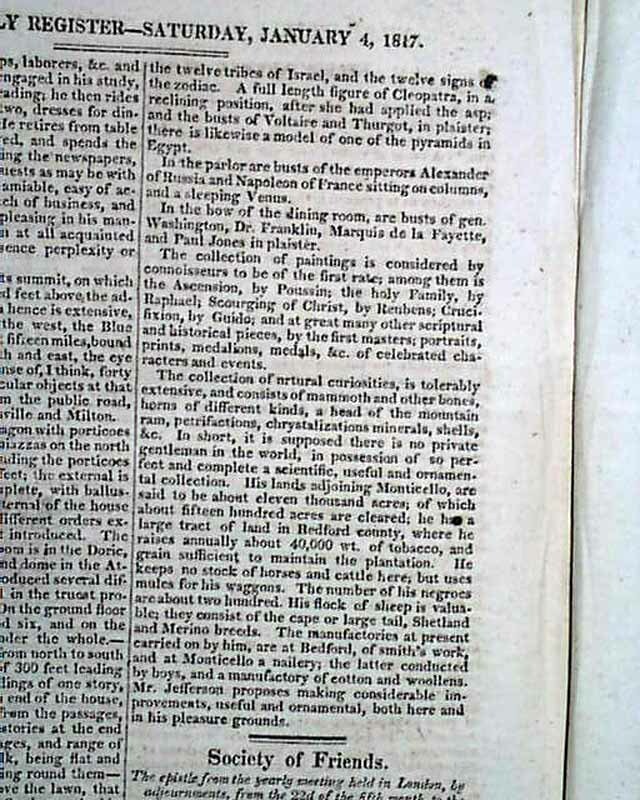 Twenty-four pages, 6 1/4 by 9 1/2 inches, a little inking on the front page otherwise in very good condition.